It is said that Minchi used to be the favourite dish of Macanese young boys. 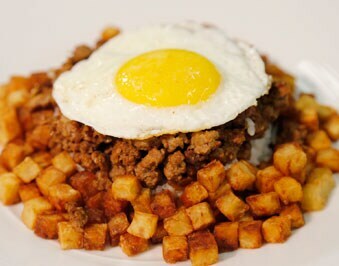 The name of this recipe derives from the English "to mince", probably entered in Macao through the Anglo-Indian influence of Hong Kong, and because it doesn’t appear in any Indo-Portuguese texts. 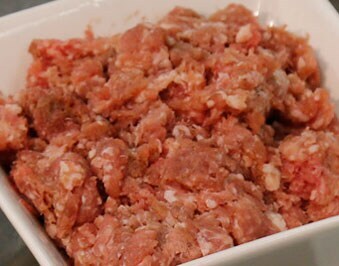 Mince the meat with sausage (if using only beef). Stew chopped onions and mashed garlic, in olive oil, and add the bay leaf. As onions starts cracking, add the meat, season with salt, cover pan and simmer, stirring occasionally. When meat is cooked, sprinkle with pepper and add the soy sauce. Continue to stew, with pan always covered. 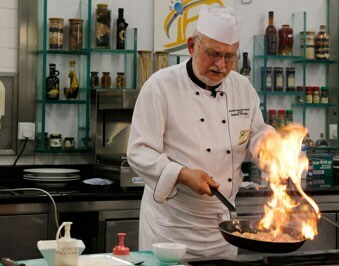 When becoming dry, cover with water, cover again and let finish cooking, always on soft flame; sauce must be reduced. 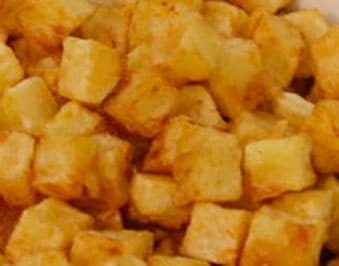 Finally, add the deep-fried potato cubes. This dish is usually served with steam rice and a fried egg.